RD Plumbing provides domestic and commercial properties with state of the art thermodynamic solar technology, that can be fitted to property's roof. Thermodynamic systems are an innovative, cost-effective and environmentally responsible method of heating water within a property. The system represents a significant technological breakthrough, and this breakthrough is now available commercially in Ireland. Unlike traditional solar panels, thermodynamic panels draw solar heat from the surrounding atmosphere allowing to function effectively even when sunshine is not available. Their minimum reliance on sunshine makes them the perfect solar heating solution for climates with limited sunshine, as such they are perfect for Irish properties. 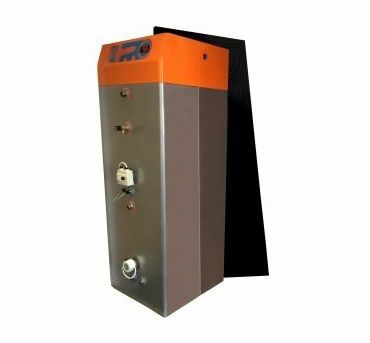 A Thermodynamic hot water heating system ensures that hot water is available any time, day and night. For additional information on our range of solar panels, get in contact with RD Plumbing today. Energy can be gleaned from any atmospheric conditions, meaning they function at night and in wet or windy conditions. RD Plumbing are one of Dublin’s longest established installers of Thermodynamic systems in Dublin. Our near unparalleled experience and thermodynamic system installation expertise, has allowed us to developed robust strategies that streamline the installation procedure. We cause the absolute minimum amount of disruption possible, while seamlessly installing the thermodynamic system into the building’s pre-existing central heating system. As our modern and low maintenance thermodynamic systems only need limited light to function, performance isn't undermined by Dublin’s often overcast weather. Would your property benefit from modern, cost-effective and environmentally friendly Thermodynamic energy? Then get in contact with RD Plumbing today, and speak to our energy saving experts. Our near unparalleled experience and thermodynamic system installation expertise, has allowed us to developed robust strategies that streamline the installation service. We cause the absolute minimum amount of disruption possible, while seamlessly installing the thermodynamic system into the building’s pre-existing central heating system. Need to have a Thermodynamic system installed in Dublin? Get in contact with RD Plumbing today.